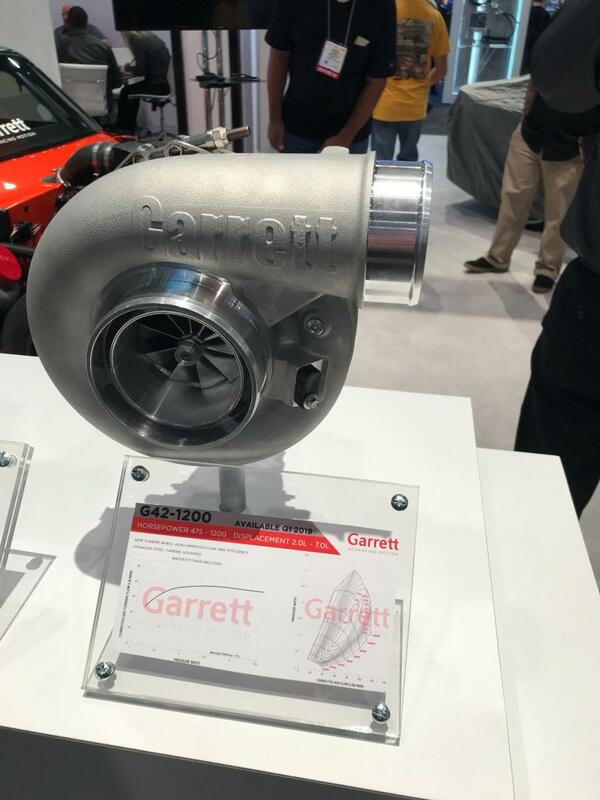 Garrett Introduces NEW G42 Turbo at SEMA 2018! 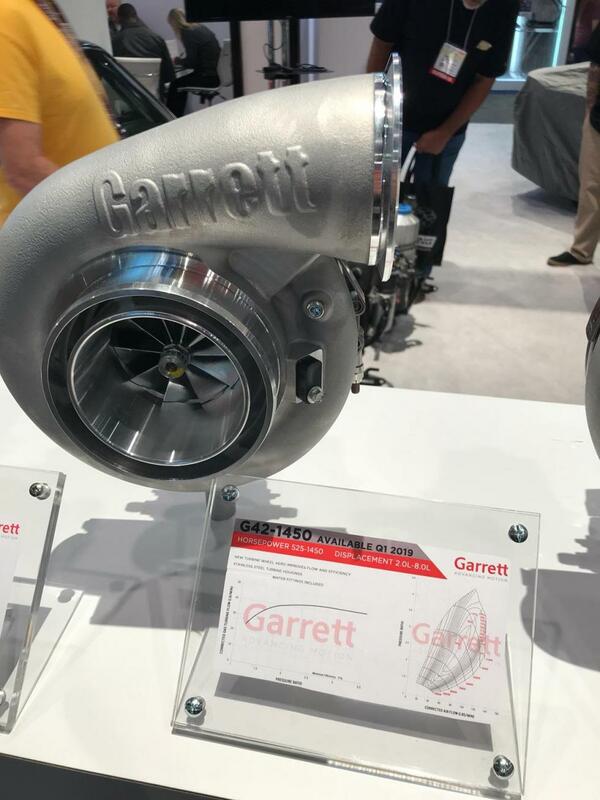 Garrett Turbos (Garrett Advancing Motion) at SEMA 2018 to roll out the NEW G42 Turbo. An all new G42 1200 to 1500 HP turbo in a compact package. Watch the video of (Garrett Engineer) introducing the G42 at SEMA 2018. Garrett's new G42 turbo comes in several sizes and applications including the G42-1200 and G42-1450 for up to 1,450 horsepower. This clean-sheet design uses a new, lightweight blade shape on the compressor and turbine, ball bearings and water cooling for optimum performance and efficiency.